We’ve written about this before. 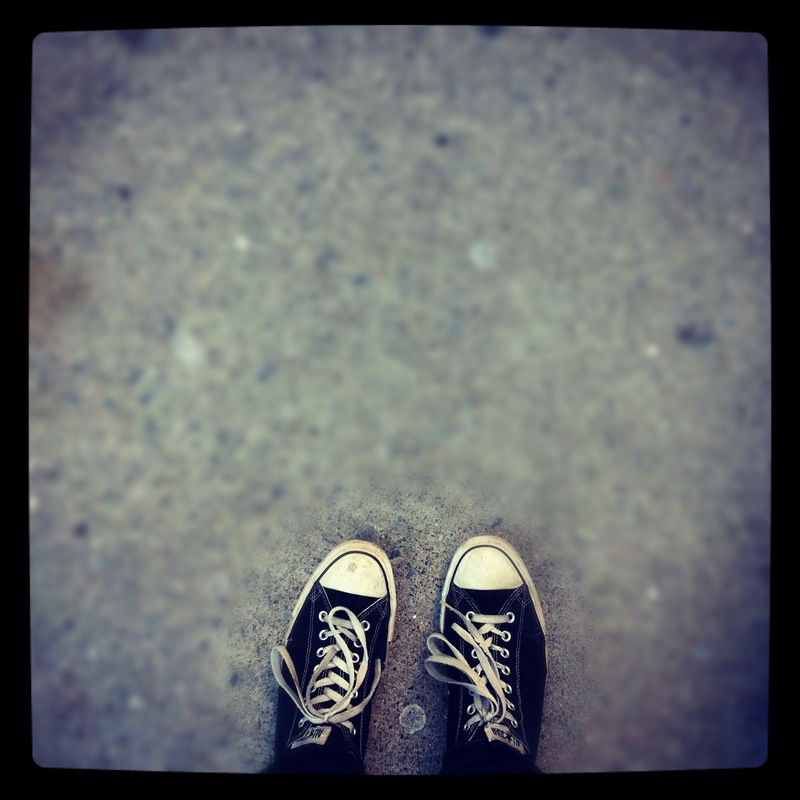 Back in October, Rustin pondered what exactly it meant to wear Chuck Taylor. Beyond the contents of that post, I don’t really know much about the history of the iconic sneaker. What I do know is that my Chuck Taylors are dying. I bought my current pair of Chucks (not my first, or second, or third) in the summer of 2005 before I headed off to college. My shoes and I have carried each other to a lot of places and through a lot of life. My Chucks have lasted longer than my longest relationship to date, longer than my longest tenure at a job, longer than my time in college, and they’ve outlasted every other piece of my wardrobe. My Chucks have seen Radiohead on a sticky South Dallas summer night. They’ve lived in Wichita, Lawrence, and Brooklyn. They’ve visited both coasts, hiked the Rocky Mountains, and biked over the Manhattan Bridge. Chucks aren’t intended to be squeaky clean. The laces shouldn’t be display table white. The signature rubber toe-cover should be scratched. They should bend and flop and feel as simple and utilitarian as they are. Just canvas and rubber and that’s basically it. For years, my shoes were just the right amount of dilapidated. The canvas was a bit frayed on top and split ever-so-slightly along the outside edge of my feet. The shoes’ rubber turned from white to speckled to off-white to some vague sandy hue. From afar, my Chuck Taylors still look beautiful. They’re slim and long just like they should be. Skinny jeans, grey chinos, even cuffed Ludlows — any pant falls perfectly over their barely-there profile. Up close, my Chucks are a wreck. The toe holes are widening into toe(s) holes. The laces are filthy, frayed and torn. The rubber side panels are peeling apart where they meet the soles. The canvas of each shoe is split near the heel. Death by thousands of steps, days, miles and memories. It’s not over yet, but it’s over. I know we’re at the end, but I don’t want to be the one to cross the finish line first. I wish the rubber and canvas would detach completely; I wish a gaping hole would appear in the sole; I wish the decision to say goodbye were less unilateral. I’ll get new Chucks. I’ll curse my new pair’s stiffness and whiteness and propriety while I mourn the loss of what fit so well until one day it didn’t. Have a pair of shoes like that. Can’t seem to get rid of them but every time I wear them either water leaks through the worn holes or I get ragged on about how dirty they are.